All it takes is one spark that ignites into a flame to change your life in an instant. Any fire can be devastating. The most important thing after a fire is the safety of your family and pets. Once everyone is safe and secure, it’s time to work a plan for what to do after fire damages your home and property. SERVPRO has created this checklist of safety precautions and more to begin recovery after fire damage. Call your insurance company immediately after a fire. 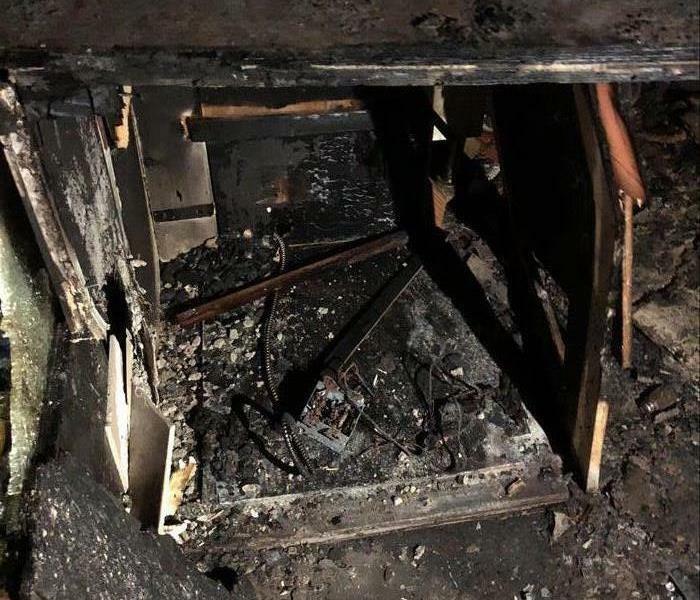 Following ironing the details with your insurance company, contact SERVPRO so the fire damage cleanup process can begin quickly. Make sure to notify your mortgage company of the fire as well. If you’re not sure that the home is structurally safe, have it inspected by a certified structural engineer or building inspector before going near. Take pictures of all exterior damage, noting broken windows or entrances that are no longer secure. Make arrangements to board-up broken windows and secure the property during the cleanup and restoration process. Shut off propane tank systems and make an appointment for it to be inspected for safety. Do not attempt to reconnect utilities on your own. Be aware that rodents, snakes, or other animals may have entered your home. Don’t flip on electrical switches in any room with standing water from firefighting efforts. Don’t enter any room if you hear popping or see sparking. Turn off the power at the main electrical panel. Try not to touch anything covered with soot; it’s easy to transfer it to other areas of the home, making the cleaning process more difficult. Try to locate important papers and other documents that you’ll need. Handle burned money as little as possible. You can take its remains to a Regional Federal Reserve Bank for replacement. Begin taking inventory of the building damage and all damaged items. Begin saving receipts for any expenses incurred after the fire. These may be needed when filing insurance claims. We have the expertise as well as the right products and equipment to safely and effectively clean and restore a home after a fire. Fire damage includes more than just items burned. There will be soot, smoke and water damage as well. A professional cleaning team will assess the damage to flooring, drywall, cabinets, furniture and more before developing a plan for thorough cleanup. Additionally, mold growth may be a concern after rooms and items have been saturated with water during the fire-fighting efforts. Does your family have a plan? Would you know where to meet?" Talk to your family about these important issues! You never know when a disaster could strike. It is important at least once a year to get together with your family and come up with a plan. The following is a list of some important things to consider when getting you family's plan in place. -"Where will we meet if our neighborhood is evacuated, or we are not allowed to go home by law enforcement?" -"Is there a trusted neighbor, friend, or relative that can pick up the kids if parents can not get to them? Are they already on the pre-approved pick-up list for that child's school?" -"Do you have a list of medications handy, and are they up to date which prescriptions filled regularly? This includes pets as well." -"Make a list of shelters that allow pets ahead of time, and have a plan in place for pets if you cannot get them to a shelter. If you are staying with a relative, make sure your pet can come to, and purchase supplies ahead of time so your pet will be comfortable on a spare of the moment road trip." -"If you have an elderly family member/friend, or a special needs family member/friend in an assisted living facility, learn that facility's evacuation plan and ask questions. Will they provide transportation for that family member, or will you need to get them? What would you do if you couldn't get to them, or got separated?" -"Make a disaster kit! If you are riding out a disaster or are in a voluntary evacuation zone, you could be without water or power for days. 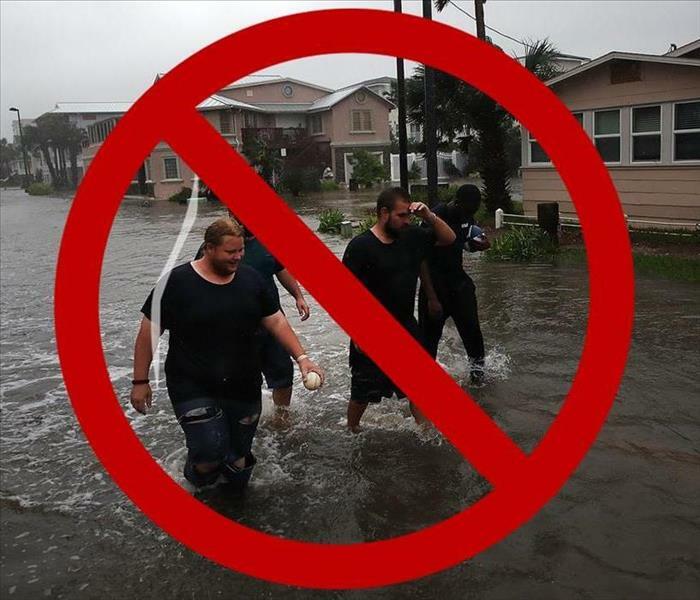 Include water, non-perishable food, first aid kit, medications, pet supplies and pet food, flashlights, batteries, crank radio, wet wipes, and cleaning supplies you don't need water to use. Ever toilet paper and paper towels are also a good idea. Fill up your bath tub with water before disaster strikes so you can use that water to flush your toilets." Help, my office is flooded! Water intrusion may be more severe in commercial buildings than in a residential setting, and the effects can be more extensive. Many commercial structures have a larger volumes of water entering the premises through plumbing supply lines and at a higher water pressure. The quantity of outgoing sewage is also greater than a typical residence. Commercial buildings tend to be of larger square footage than a home, so entry points for water intrusion through areas like the roof, exterior walls or windows are commensurately greater in number. Water intrusion in commercial buildings can damage high-value equipment like computers and also building services such as HVAC, lighting, elevators and security equipment. 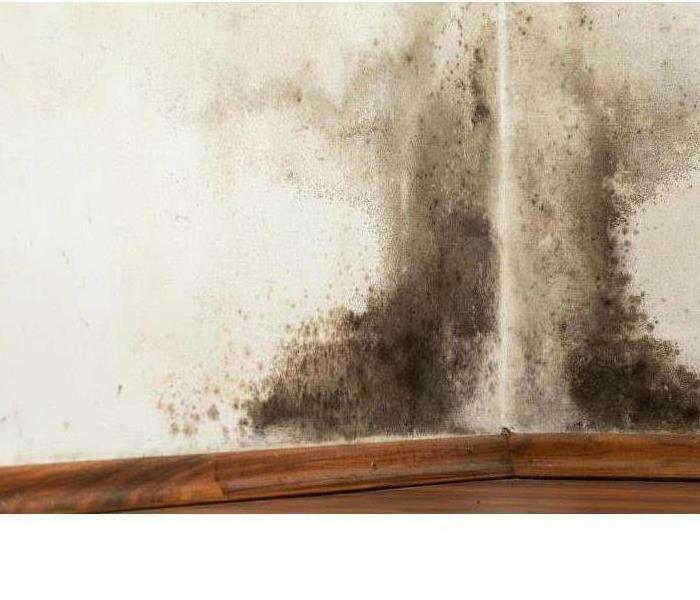 Common long-term consequences of water damage like mold or microbial growth may be more problematic than in a home, due to the larger occupancy of a business or other commercial enterprise. When a greater number of people with a wider range of sensitivity are exposed to mold and bacteria spores, health impacts may be significantly magnified, perhaps leading to an enforced closure of the facility until the situation is fully remediated. Call the experts at SERVPRO of Mandarin immediately at 904-636-0044 if you experience water intrusion in your business. Did you know that there is a science behind the drying process? Speed up mother nature by using professional drying equipment. A wet building will always seek equilibrium an try to dry naturally. When materials are wet moisture will naturally move to drier air. The problem is nature takes too long and secondary damage, like mold can occur while you are waiting for your professional building to dry. We use state of the art monitoring equipment and a proven drying process to speed up the drying time in your business. SERVPRO of Mandarin is available 24 hours a day for water emergencies, large or small. When you are dealing with water damage, immediate action is crucial. A delay of just a few hours can greatly increase the severity of the water damage. We understand that when you call us, you may be feeling confused, stressed, and vulnerable. You need an expert to guide you through this crisis. SERVPRO of Mandarin has the specific water damage training and experience to help you through this tough time. We specialize in water damage restoration—in fact, it's the cornerstone of our business. SERVPRO of Mandarin specializes in the cleanup and restoration of residential and commercial property after a fire, smoke or water damage event. Our staff is highly trained in property damage restoration. From initial and ongoing training at SERVPRO’s corporate training facility to regular IICRC-industry certification, rest assured our staff is equipped with the knowledge to restore your property. Most people learn a great deal about their homeowner’s insurance policy after there’s been an event— which is not the ideal time to have a crash course in coverage. At SERVPRO of Mandarin we see quite a few policies and situations. Although the details vary from one state to another and from one policy to another, we can share some general guidelines. If you live in a flood-prone area— not just near a waterway or the ocean, but in an area that’s frequently hit by major storms— you should get flood insurance. Most insurance policies don’t cover floods, which are the most common natural disaster in the nation. Between 2008 and 2012, the average flood claim was $42,000-plus. Not something you want to pay out of pocket! Water Damage vs. Flood: What’s the Difference? Water damage as covered in the homeowner’s policy includes ‘instances of water hitting your home before touching the outside ground’. (No, we’re not making this up.) Damage from a leaky roof or broken pipe are insured. So too is mold that results from those accidents. But mold resulting from a flood won’t be covered unless you have separate flood insurance. It’s important to note that it is the damage to your home that’s insured, not the actual item that failed. So if a busted pipe was the source of the problem, the ruined carpet will be covered but not the broken pipe. FEMA estimates that just six inches of water can cause $20,000 in damage. After the hurricanes of the past decade, the government started tracking storm damage. This website not only shows you scary videos of hurricane damage and houses surrounded by water, but offers assistance in finding low-cost policies. Homeowners do have some protection, though. Our team can usually help you decipher the language in your policy. And remember, you are not required to accept the lowest bid on restoration work. Repair rates should reflect the prevailing charges in your area for quality work. It’s easy enough to find a fully licensed and insured firm to take charge of the clean-up work. Just call us! While the first day or so after a catastrophic flood may seem like Armageddon, make sure you take the necessary steps to prevent further damage. We can help you identify what needs to be done. Also ask about time requirements. Most policies stipulate that preventive measures and restoration work be done within a certain time frame. Questions? Give us a call Fortunately for you, we deal with these issues every day. 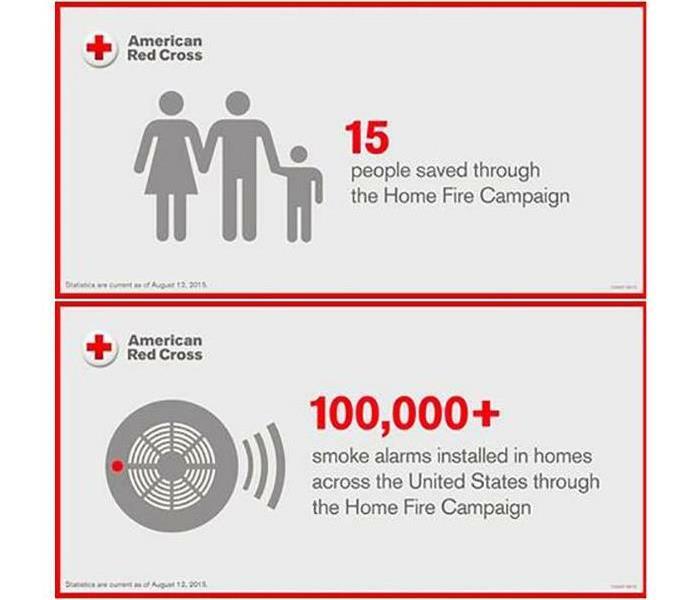 Check smoke alarms and batteries regularly to make sure they function properly when you need them. A safety checklist is a must for being prepared for a fire. SERVPRO of Mandarin would like to advise you to take personal responsibility, and prepare long before a fire threatens your home and your family’s safety. Install and maintain a working smoke alarm and carbon monoxide detector in every bedroom, outside of every sleep area and on every level of the home, including the basement, and remember to change the battery at least once a year. Know where your fire extinguisher is mounted, and make sure everyone in the family knows how to use it. Teach everyone the "Stop, Drop, and Roll" technique in case clothing catches on fire. Teach kids that matches, lighters and candles are tools, not toys. If you suspect that a child is playing with fire, check under beds and in closets for telltale signs like burned matches. Matches and lighters should be stored in a secure drawer or cabinet. Flooding can come from all types of sources. Broken pipes, sprinkler systems, hurricanes and more. Floods are the most common, widespread disasters in the United States. Whether your home or business is near a coastline, along city streets, in the mountains, near a river or even out in the desert -there is always potential for flood damage. Just because you haven't experienced a flood in the past, does not mean you never will. 20% of flood insurance claims come from low-risk or no-risk areas. On average, floods cost $3.5 billion in annual losses in the United States. According to the American Red Cross (ARC), floods cause more damage in the US every year than any other type of disaster. -Stay away from flood waters. If the water is up above your ankles, "turn around, don't drown." -If you approach a flooded road while driving, turn around and go the other way. If you get caught on a flooded road and water is rising quickly around you, get out of the car and go the higher ground as fast as you can. -KEEP CHILDREN OUT OF THE WATER! A cash register catches fire at a local restaurant. A fire is something we never think can happen to you. It can. SERVPRO of Mandarin can help. Here are some tips for being ready if it does happen. Although an emergency escape plan is not required for all businesses under the Occupational Safety and Health Administration (OSHA), it recommends your building have an emergency action plan to protect yourself, employees, and your business during an emergency situation. OSHA suggests the following steps when developing such a plan. Organize emergency preparedness procedures and share them with your employees. Once a plan is developed, post evacuation procedures, including routes and exits, where they are easily accessible to all employees. Ensure that all exits are marked and well lit, wide enough to accommodate the number of evacuating personnel, and unobstructed and clear of debris at all times. Conduct office evacuation exercises and drills. Designate a safe spot outside of the facility where employees can regroup, recover and conduct a head count. Once completed evaluate how well the plan worked. You may need to make improvements. 4/10/2019 - Help...My Office is Flooded! 4/10/2019 - The Science of Drying. 2/21/2019 - What is Mold?